Bryan joined up with JTP/Fifth Column again and headed out to Steven’s Institute of Technology for another installment in the continuing series of video tours of the university. Highlights from this time around include their visit to The Center for Maritime Systems’ Davidson Laboratory, a state-of-the-art facility where students can put their nautical engineering skills to the test in the 313 foot long high speed towing tank. Check it out! Brennan, Brendan, and Reed have spent most of this month on set with MTV Tr3s recording sound for upcoming episodes of Quiero Mi Boda and Quiero Mi Quinces. Reed and Ted spent the past week with filmmaker Brian Ross and musician Jeremy Mccomb shooting their upcoming webseries Big Country Blues. Check out Penny Royal by Director Vincent Lin over at the Interpretations Online Film Festival. This is the 2nd short film Vince has Sound Designed and Mixed at Silver Sound this year. The first one Chase Thompson, is currently making waves on the festival scene. 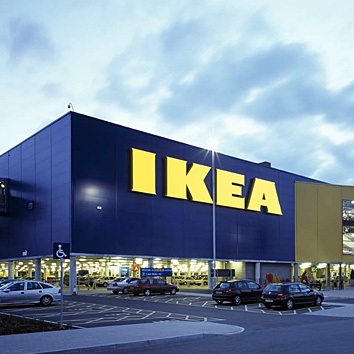 Brendan spent his night in Queens recording a web commercial for Swedish furniture giant Ikea.